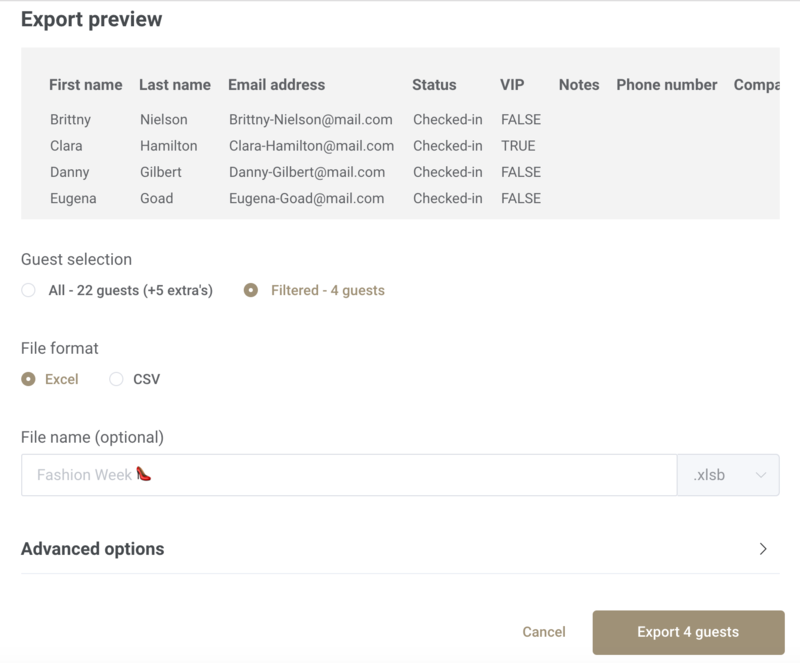 In case you only want to export Checked-in guests please select Checked-in option on the left side menu. In both cases, the export preview screen will show you a preview of the exported data and will allow you to select the format of the export in Excel or CSV. The resulting CSV/Excel file can be easily imported to your CRM, Salesforce etc.